The No. 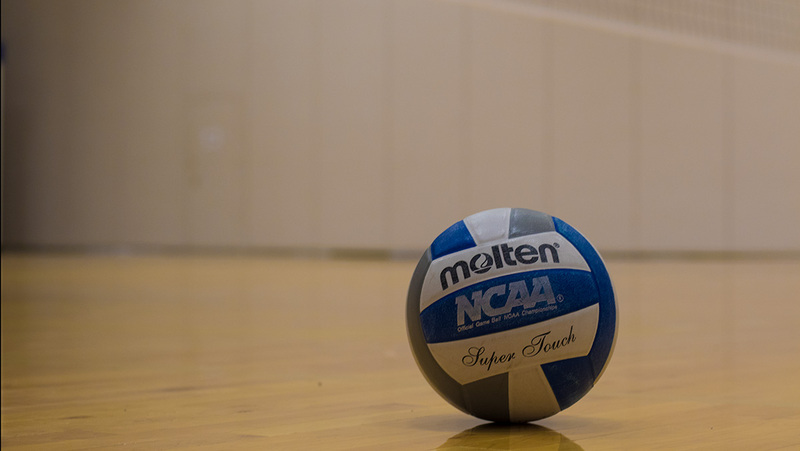 19 Ithaca College women’s volleyball team, who were 3–0 in the Liberty League Conference before entering the match, faced off against the Union College Dutchmen on Oct. 6. The South Hill squad won the match 3–2. Down 6–1, the Blue and Gold had a hard time holding onto the ball. Even though head coach Johan Dulfer took two timeouts in the first set, the Bombers were not in control of the game. The closet the girls got to winning the set and going ahead of the Dutchmen was a 9–8 lead, but in spite of that, the first set went to the Dutchmen 25–19. The Bombers turned their play around in the second set by winning 25–20. Junior setter Caitlyn Floyd had 13 assists throughout the set. Once again, the Blue and Gold took control in the third set. The Bombers took the win this set, 25–17, with sophomore outside hitter Reagan Stone delivering the last point as Floyd assisted her. In the fourth set, the Bombers saw themselves down 4–0. However, the Blue and Gold battled right back to tie the set 5–5. The Blue and Gold started to gain more points as the set went on, but they were still down 15–17. At 25–25, both teams played cautiously. Both teams went back and forth tying the game, 27–27, 28–28, 29–29, 30–30. In the end, at 32–30, the South Hill squad lost the set to the Dutchmen. In the final set, junior outside hitter Taylor McCarthy earned the first point for the Blue and Gold to tie the set at 1–1. The Bombers pulled ahead 10–5, and again at 13–8. As senior libero Tara Stilwell served the ball, the Dutchmen tried to send the ball over, only to be blocked by Stone and senior middle hitter Katie Evans. The Bombers won the game 15–8. The South Hill squad is currently 4–0 in the Liberty League. The Bombers will host the Rochester Institute of Technology at 7 p.m. Oct. 10 in Ben Light Gymnasium.